I took the top picture of Kylemore Abbey from the south side of Lough Pollacappul, on our way from Doo Lough to Clifden. 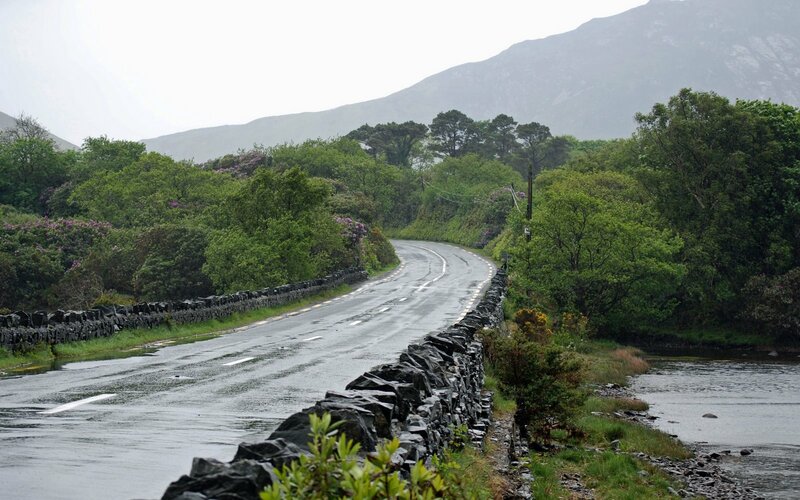 The bottom picture is where the N59 passes the lake; Kylemore Abbey would be to the right. 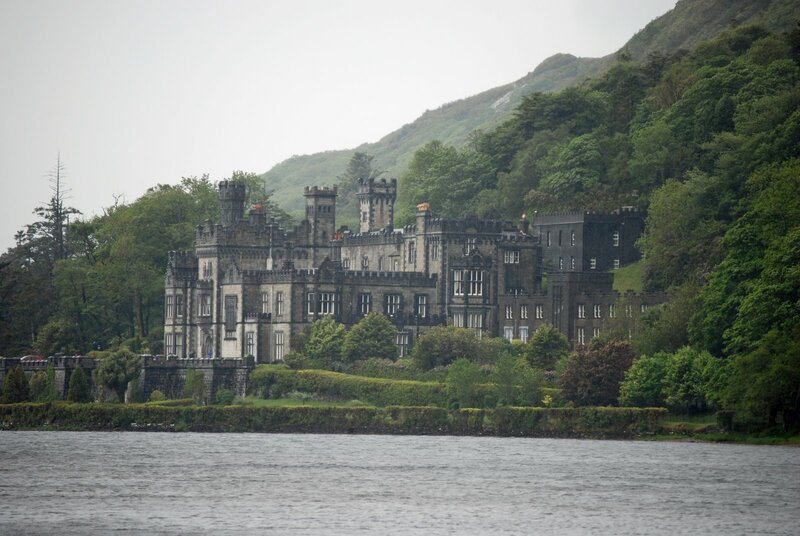 The abbey was originally called Kylemore Castle and built between 1867 and 1871 as a present for the wife of Manchester tycoon Mitchell Henry. His wife, Margaret, had fallen in love with the area while visiting on their honeymoon. Unfortunately, she died in 1874 after contracting a fever during a trip to Egypt. Mr. Henry brought Margaret's body back to Kylemore for burial and constructed a gothic church in her memory. The castle was later sold to the Duke and Duchess of Manchester, but after their mortgage was foreclosed on, the property was purchased by Benedictine nuns who had fled Belgium during World War I. The nuns turned the castle into an abbey with a boarding school for girls. The school is still open, but scheduled for closing in 2010. Although most of the abbey is closed to visitors, you can tour a few rooms and walk the grounds, including a walled garden and Margaret's gothic church. There is also a visitor center with a gift shop and restaurant.